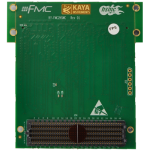 KAYA Instruments offers imaging solutions for a variety of FMC mezzanine card applications. For use with high speed cameras, high definition cameras, and panoramic cameras with applications in surveillance, robotic vision, testing, and more. 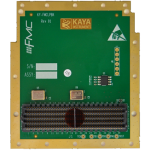 The KY-FMC-CXP is capable of capturing video from up to 5 CoaXPress mode cameras and is ideally suited to industrial, defense and aerospace applications. 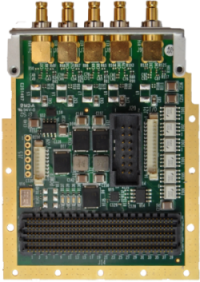 This mezzanine card might be also used as camera simulator, emulating up to 5 transmitting channels. 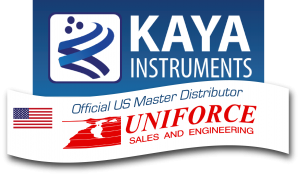 The KY-HSMC-CXP is capable of capturing video from up to 4 CoaXPress mode cameras and is ideally suited to industrial, defense and aerospace applications. 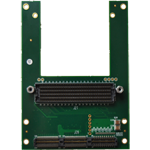 This mezzanine card can be also used as camera simulator, emulating up to 4 transmitting channels. 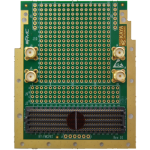 The user can add standard 0.1 inch spaced components and sockets for a wide variety of active and passive devices thus enabling the development of very complex capabilities. 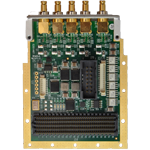 This adapter board is designed to support full duplex high speed serial signals (SerDes), as well as LVDS or single ended signals. 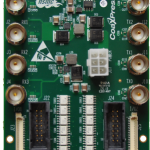 The PCIe loopback tester board enables developers and assembly factories to test and characterize the PCIe board interfaces.